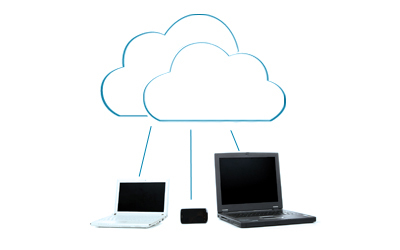 SafeComs can host your file server among other systems in a cloud environment. It is reliable and secure - we migrate your mail to the cloud hosted by Microsoft Exchange Online servers, giving you confidence that your information is accessible whenever you need it. You can control your environment and get the best out of using Microsoft servers. Exchange Online lets you tailor your solutions according to your IT needs, and to make sure your communications are always at hand. Choose how much you want to put into the cloud, how much stays on premises, or keep and manage mailboxes in both the cloud and onsite. This is the foundation of the cloud (without it, the sky would fall!). Your information needs to be protected from disasters, accidents, hacking and other threats. Exchange Online works continuously around the clock to monitor web security to keep your information safe, secure and available. Using Exchange Online means there is little for your business to do - it is all automatically maintained on your behalf, allowing you and your staff to be more productive. Access information anytime, anywhere, on all devices, without worrying about ongoing upkeep - that is our job. From a smartphone to a tablet to a laptop and other devices, Exchange Online encourages productivity by helping you and your team work together more efficiently, managing and sharing increasing volumes of information across different devices. Set up to deliver the most important and relevant information, the interface lets you work on any device quickly and effectively. Your organization is actively shielded from spam, viruses and phishing attacks with built-in defenses. Strong anti-spam filtering on a worldwide network of data centers continuously protects your business information, and all processes are conducted according to data compliance regulations.